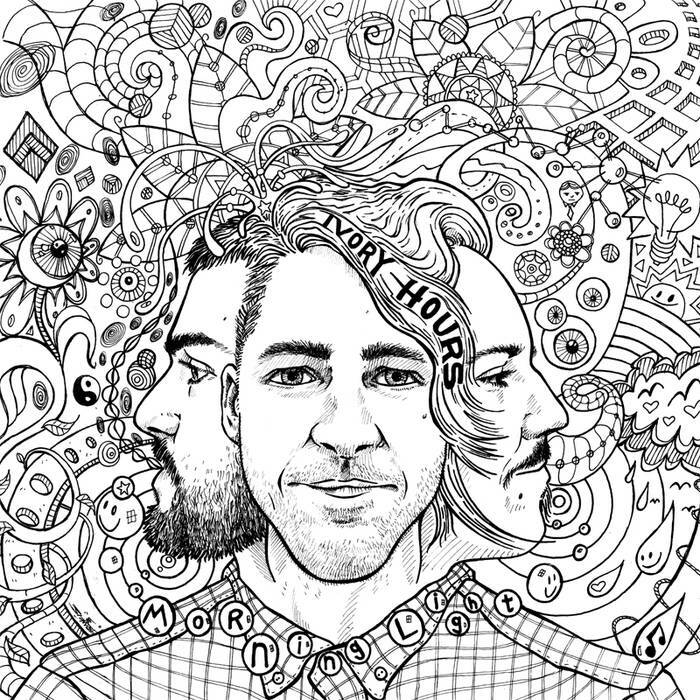 Morning Light is the debut album from London, Ontario’s Ivory Hours. Last year we discovered these guys thanks to the release of their single Mary – a wonderful pop song full of emotion and hooks that turned us on to the trio’s sound. The following release Mary EP only made our turned on-ness for them stronger, as they revealed that hey, they can make some pretty good songs. Personally my favourite of theirs is Hello Honey, so sweet and lovely. So, now with Morning Light the band will be looking to branch out their sound onto a wider audience and it certainly gets off to a good start with The Dreamer. This opening tune displays a wonderful intro composed of sweet guitar diddy’s before exploding into a larger than life riff that converts all settings into a sunny affair. Ivory Hours have a knack for making their sound perfect for the summer and this is exactly the case with this track as they succeed at delivering a ton of hooks into this track while it’s paired up with slightly rocky guitars. This is a great start to Morning Light. Lead single I Won’t follows more of the same as the Canadian trio deliver another riff that erupts the intro into a glorious volcano of pop. (That sounds delicious actually; if there was the chance to build a volcano of pop I’d probably go for a Lilt flavoured one.) Once again elements of rock pull through the airwaves to add a little bit of gritty gritty to the sound and in fairness it does enable the poppier melodies to sound even sweeter. Just like a Lilt flavoured volcano. Fortunately Morning Light continues this momentum superbly with each song sounding like they’ve been made up of 1 part happiness and 2 parts sunshine. The Habit is a fantastic little love song that features a simple but catchy drum beat alongside some wonderful displays of vocal greatness. Animal heads into a slightly slower-paced tempo but does display urgency in some parts, and it also sounds a little bit funky. It’s awesome. Ivory Hours are wonderful and Morning Light is amazing. This record is so upbeat, so positive that it could easily become the overly happy guy but it is literally immune to hatred. It’s the album equivalent of a soulmate, of a best friend, of a puppy and it’s put the biggest smile on our faces. Love this album. Stream it below, and for more music reviews, free downloads and lots and lots of hugs check out Exploding Head Syndrome on Facebook and Twitter.